Big news for Star Trek fans of the MMO-playing persuasion, as Cryptic have decloaked the next big update to Star Trek Online. Titled "Legacy of Romulus", it's pretty much the largest single expansion since the game went Free-to-Play, as it opens up a full third player faction, the Romulan Republic. 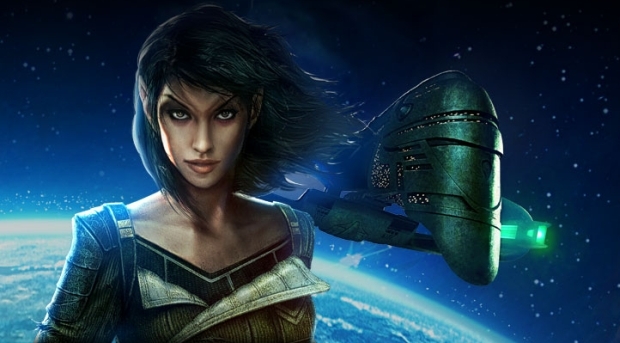 Starting May 21st, players will be able to start Romulan and Reman characters and level them all the way from beginning to endgame with exclusive storylines. In addition to the Romulan faction, the Klingon faction is getting a content boost that will allow players to start as Klingon from the beginning, rather than having to unlock the faction by playing a Federation character first. Max-level players will gain a new Tholian Reputation faction to farm. In a long-overdue change, players will be able to reset character traits chosen at the creation stage, as well as change the color of their interface. Personally, I'm pretty stoked for this. I've always wanted my own D'deridex-class Warbird!